Do you want to keep your original gates but update and improve the automation? If you love the gates you have, and either want to upgrade them to the convenience of electric operation or need to replace automation equipment that’s past its prime, talk to us about how we can help. Do you currently have manual gates? If you’ve invested in good quality wooden or wrought iron gates, the chances are you spent a lot of time choosing the right style to blend with your property and invested money in the purchase. 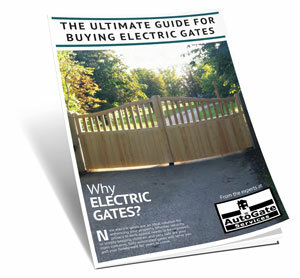 Perhaps you’d like to keep your original gates but want to have the convenience of electric automation? 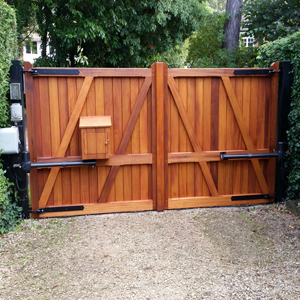 If your gates are in good condition, automation equipment may be successfully fitted just by making some simple adjustments to your gates, and by selecting the best motor for the job. 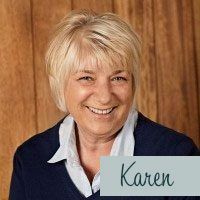 To discuss what you’re looking for and how we can help, please speak to our friendly, knowledgeable team. Does the automation on your gates need upgrading? Alternatively, perhaps you want to update your existing automation equipment? Rest assured, we aim to help you get the most from your investment, so we’ll only ever recommend replacing your gates if that’s truly necessary to achieve the automated solution you want. 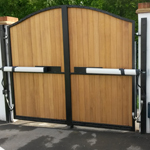 The expected useful life of good quality gates can be as much as 30 years, so a more cost-effective solution could well be for our electric gate engineers to remove your existing automation equipment and replace it with a reliable, modern solution. Does your current automation meet today’s regulations? Safety is always our top priority – for this reason, our engineers can’t work on gates that don’t conform to HSE and British Standards regulations. For your own safety and that of your family and any visitors, if your gates don’t meet the current standards, we recommend discussing your options with one of our specialists. 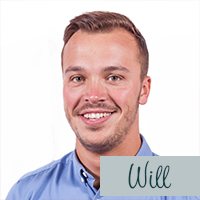 The simplest way to check the status of your automation is to give our experts a call on 01763853663. 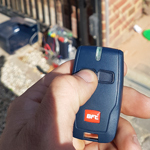 They’ll ask you for the make, model and voltage of your existing gate equipment and advise you if your gates meet the current safety regulations. We assess your entrance during our site visit and will take into account any areas that pose a risk, and in turn recommend the necessary safety equipment to ensure the gate operates safely. Read about the entry and exit options for your gates.